Kane Brown has released his new single, “Lose It,” which is available via streaming and downloading. Country radio’s official impact date for the song is June 25th. Brown co-wrote “Lose It” with Chase McGill and Will Wheatherly, and debuted the track during the 2018 CMA Music Fest. 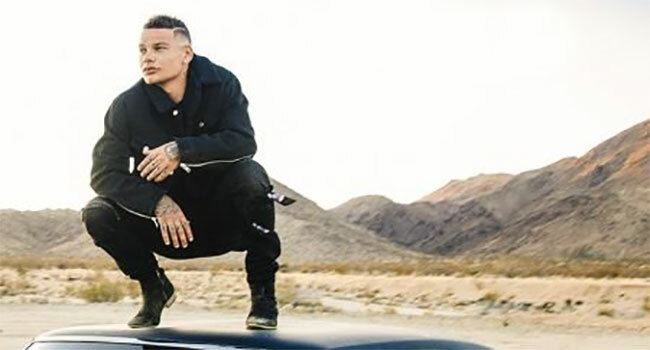 ACM, CMA, CMT and Billboard Music Award nominated Kane Brown first topped the Billboard Top Country Albums chart with the release of his self-titled debut album in 2016 and again with the release of Kane Brown Deluxe Edition in 2017, which debuted at No. 1 on the Billboard Top Country Albums and Top 5 on Billboard 200 Charts. That same week, the singer-songwriter became the first-ever artist to top all 5 Billboard Country Charts with his breakthrough No. 1 Top Country Album; No. 1 debuting Country Digital Song, “Heaven”; and No. 1 Country Airplay, Hot Country Song and Country Streaming Song, the 2x platinum “What Ifs” featuring Lauren Alaina. In fact, Brown was awarded a Guinness World Record for becoming the first act to top five U.S. country charts simultaneously.